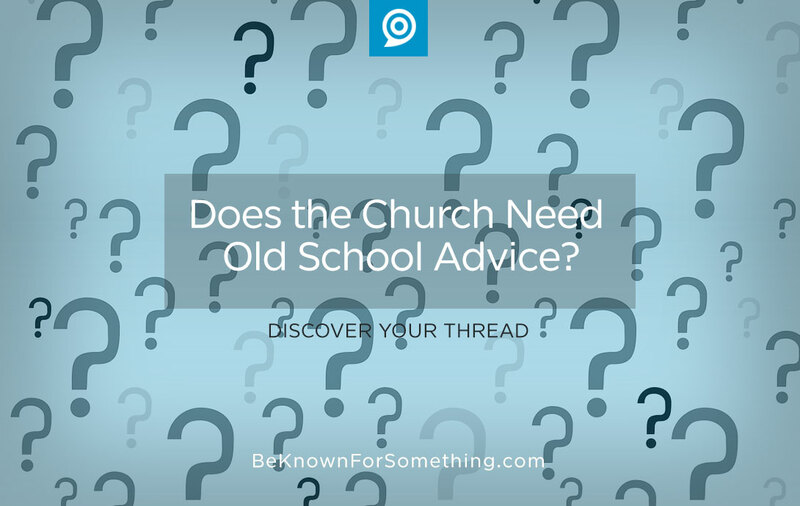 Be Known for Something : Discover Your Church Communication Thread / audience / Does the Church Need Old School Advice? The latest research reveals Pastors are getting older on average. Barna reports that it’s at an all-time high of age 54. Headlines are screaming it everywhere. The church world is gasping from the numbers that crept up from 44 in 1991, but is it really a concern? Is 54 that old?! In full disclosure, I’m very close to the average age of Pastors now. 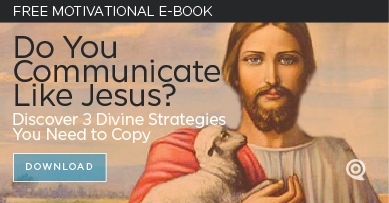 I consult with churches about effective communications and reconnecting with communities. Recently I’ve been wondering how long I’ll be relevant as I watch the rise of 30-somethings who are starting to take the limelight. This isn’t a reactionary or defensive article, it’s a serious look at what’s been described as “old school” instruction. Shouldn’t the advice of an older Pastor (or church communications consultant) be a benefit to a congregation? Yes. Yes! But with caution to the older leader. They’ve been there done that. Experience is valuable. 1 Timothy 5:17 says older people deserve double honor. So much can be learned from their experience, victories, and especially failures. They understand the difference between critical and urgent. With their experience, maturity brings soberness of understanding priorities. They know that important and foundational things must be accomplished before tackling some of the things that “everyone” wants done. They’re a decade away from retirement. Wait, is this a positive? Yes. Listen and learn from them now before they aren’t in a leadership position. Value the time you have with them and learn from them now. Create a plan to learn as much as possible from their depth and understanding. Older leadership can be set in their ways. It’s hard to teach an old dog new tricks. If you’re older, pay attention to new trends, how different things are now, and how you need to adjust your thinking. Want to be relevant? BE relevant. Start with how you dress and how your hair is styled. You want people to treat you as relevant? Look relevant. Pursue younger people to mentor and learn from them. Older leadership can be cautious of trends and slow to adopt them. Use wisdom to weigh the importance of every trend. If it can reach more people (without sinning of course) or saves time or effort — try it with the expectation to adopt it (especially if a younger generation seems to be doing it). Most trends happen because there’s a foundational benefit. Discover it! Millennials are skeptical of “old school”. Love breaks through though. Fan their flame by gently guiding and encouraging. Authentically explain your why. Applaud and be available, and their skepticism will fade into support. You don’t know all the answers; together you can discover them.